This is a development undertaken by an associated company, NEAT Developments Ltd in partnership with Royal London Asset Management. 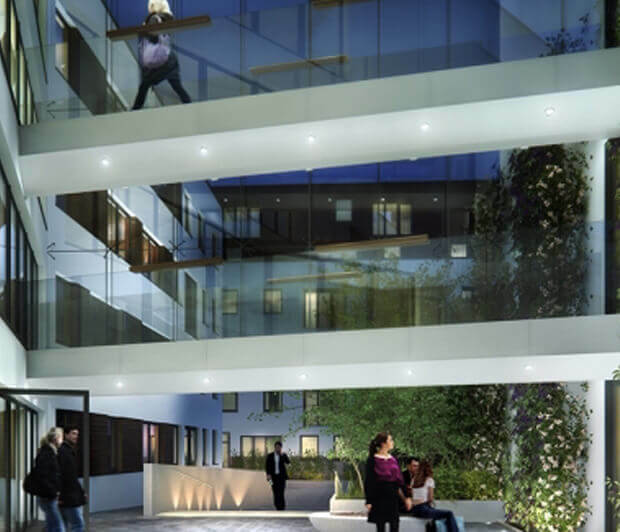 Currently being built, there will be 460 apartments with a high quality specification set around large landscaped courtyards. Retail, leisure, gym and crèche facilities are also part of this scheme. 215 apartments have been sold to Network Housing Association.